I am a Chinese Brush Painting Artist and enthusiast, working from my studio ‘Brushstroke Poems’. 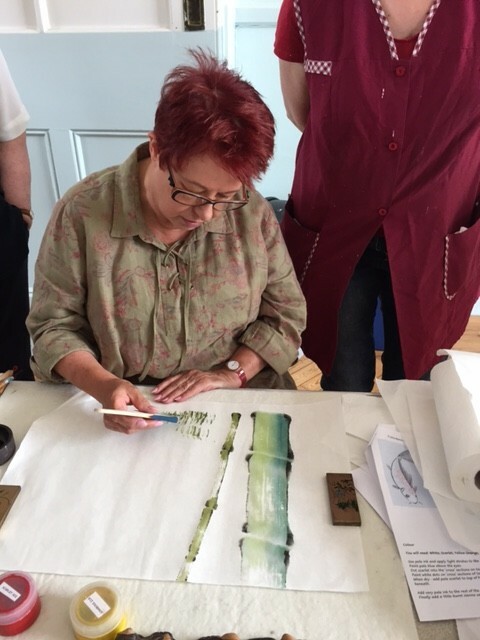 I have been solely dedicated to Chinese Brush Painting for over twelve years and have been tutored by both Chinese Masters and the most renowned artists in the UK. When I was introduced to Chinese Brush Painting I found myself completely consumed by both it’s simple beauty and fascinating symbolism. I travel to China each year, expanding my understanding, knowledge and painting techniques of this challenging art form. I regularly teach workshops and provide bespoke workshops for art groups and clubs. I exhibit and sell my work, and intend to expand with with my website which is currently under construction. Through ‘Sidewinder Studio’ www.sidewinderstudio.co.uk I stock an extensive range of authentic, quality Chinese Brush painting supplies, books and accessories. Products are sources from friends and family business across China and are suitable for every skill level, from novice to the most experienced.